Event photography by Mikhail Kharlamov, Josh Lefkowitz, Phil McCarten, Danny Moloshok, Hector Sandoval, Willie Toledo and Daniel Woiwode. 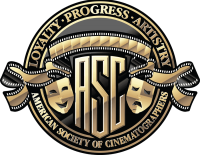 Hosted by Turner Classic Movie’s Ben Mankiewicz, this year’s ASC Awards for Outstanding Achievement in Cinematography celebrated the Society’s 100-year anniversary alongside masters of imagery. 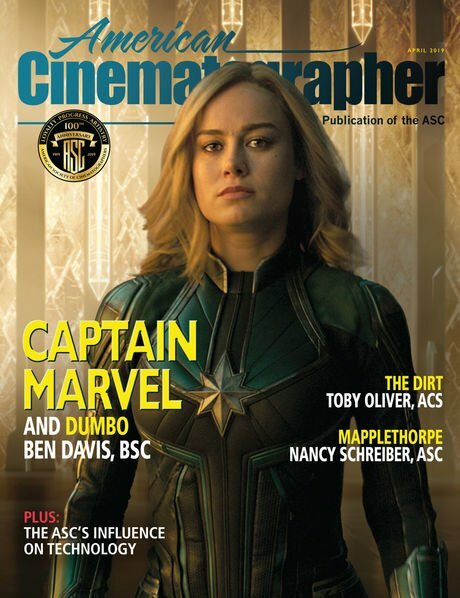 Cinematography's biggest night of the year took place Saturday, February 9, in the Ray Dolby Ballroom at the Hollywood & Highland complex — just blocks away from the historic ASC Clubhouse, where the post-show after party commenced. The event kicked off with a stirring rendition of the classic “I Got the World on A String,” sung by Robert Davi with the backing of the show's live orchestra. Robert Davi belts it out. The live orchestra, conducted by Jeff Cardoni, was a first for the ASC Awards. 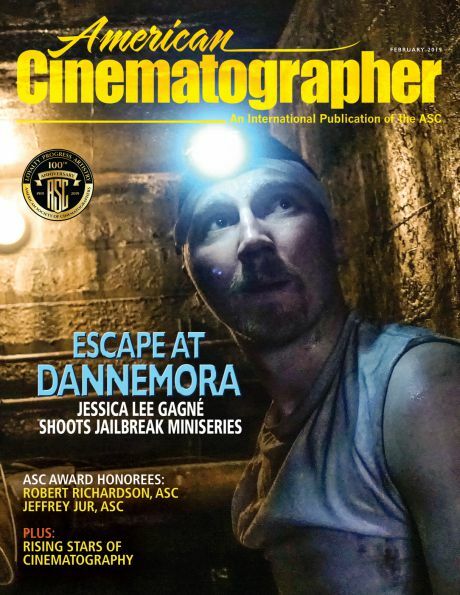 "A Salute to Television" reel celebrated the evolution of television cinematography, as presenter Dana Gonzales, ASC put it "the screen is no longer small, and the creative palette has expanded to fill it." The evening’s presentations began with the ASC Board of Governors Award, given to actor, producer, musician and philanthropist Jeff Bridges — who was introduced by actor-stuntman Loyd Catlett. Bridges, who is also an accomplished photographer, brought his camera to accept his award, and took a few shots of the crowd and of himself and Catlett. Caleb Deschanel, ASC — who has been nominated for a 2019 Academy Award for Best Cinematography for his work in Never Look Away — regaled the audience with a history of the ASC and paid special attention to its centennial. The first competitive ASC Award of the evening — presented by actress Lea Thompson, for Episode of a Series for Non-Commercial Television — was won by Adriano Goldman, ASC, ABC, BSC for his work in the episode “Beryl” of the Netflix series The Crown. This is the second ASC Award win for Goldman, who won in this category last year for The Crown, and earned an Emmy this year for the same show. A native of Brazil, he started his career as an intern TV Abril’s news-program TV Mix. He is known for his work on City of Men, Jane Eyre, August: Osage County and Sin Nombre (for which he earned an Independent Spirit Award nomination and the Sundance Film Festival’s Cinematography Award). ASC president Kees van Oostrum then took to the stage to recognize the ASC Student Heritage Awards, which are named each year in the memory of ASC members. In 2018, Sol Negrin, Gerald Hirschfeld and Haskell Wexler were so honored, with student cinematographers Steven Breckon, Matthew Hayward and Alejandro Cortes Sanchez, winning in their three respective categories. While also honored at the ASC Awards, their official presentation ceremony took place in October of last year. Van Oostrum also presented the Bud Stone Award for Distinction, which is presented to a key industry figure who has made significant contributions to the motion-picture community. This year, associate member Franz Kraus, managing director, ARRI Group, was the worthy recipient of this unique honor. Joffin previously earned ASC Award nominations for The Andromeda Strain (for which he also earned an Emmy nomination) and Alice. A native of South Africa, he built his career as an AC and operator until he was brought in to shoot second unit on The X-Files, and was soon being brought in to share director of photography duties. His other series credits also include Strange World, Masters of Horror, Crusoe and Rush, as well as the telefilms A Wrinkle in Time, Elvis, Fallen, Snow White: The Fairest of Them All and Sole Survivor. This year’s In Memoriam paid tribute to the ASC members who passed in 2018 — Tony Askins, Richard Kline and Ralph Woolsey — as well as colleagues Robby Müller, NSC, BVK and Witold Sobocinski, PSC. After serving as a best boy, gaffer and operator, Friend began shooting second unit and underwater work, also photographing numerous short films and then TV specials. This series credits include Inspector Lewis, The Musketeers, Rillington Place (earning a BAFTA TV Award and a BAFTA Television Craft Award nomination), Victoria, C.B. Strike and MotherFatherSon, as well as the miniseries Beowulf: Return to the Shieldlands and the upcoming The War of the Worlds. Veteran cinematographer Jeff Jur, ASC was then presented with the Career Achievement in Television Award by director John Dahl, a longtime friend and collaborator. 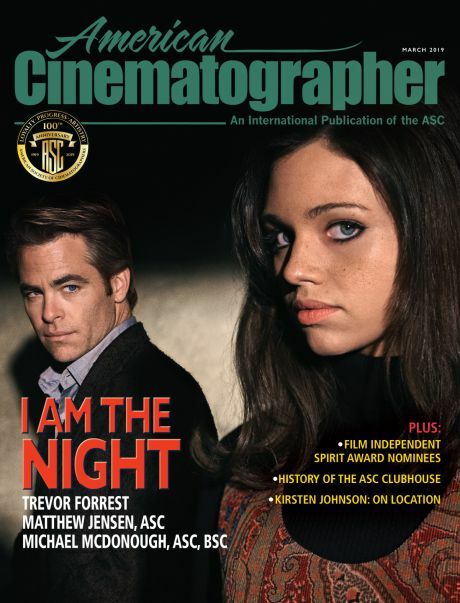 The show then moved on to its next competitive category, the ASC Spotlight Award, which strives to showcase independent film or smaller projects that might otherwise not be recognized. Ellen Kuras, ASC and writer-director-producer George Tillman Jr. together presented this prize to Giorgi Shvelidze for his work on Namme. This was the first ASC Award nomination for Shvelidze. After gaining experience as an AC and operator, this native of Tbilisi, Georgia, has shot features including Three Houses, I Die Without You, The Watchmaker, Dabadebulebi Saqartveloshi and The Confession. Lifetime Achievement Award honoree Robert Richardson, ASC was then brought to the stage by his presenter, writer-director and frequent collaborator Quentin Tarantino. The final award of the evening — in the Theatrical Release category — was presented by Academy of Motion Picture Arts and Science president John Bailey, ASC to Łukasz Żal, PSC for his work in Cold War. Unfortunately, Żal was out of town working on another project, but camera operator Ernest Wilczyński accepted the award on Żal’s behalf. This is Żal’s second ASC Award win. He previously won in the Spotlight category for his co-cinematography duties with Ryszard Lenczewsk on Ida. A native of Poland, the cinematographer’s other credits include the documentaries Paparazzi, Left Side of the Face and Icon, the Oscar-nominated animated film Loving Vincent, and the narrative features The Here After, Dovlatov and High Frontier. You'll find additional images from the 33rd Annual ASC Awards below.